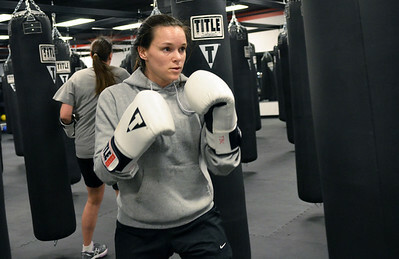 Jennette Aristud, of Crystal Lake, wraps her hands before participating in the next class at Title Boxing Club on Tuesday, November 27, 2012. 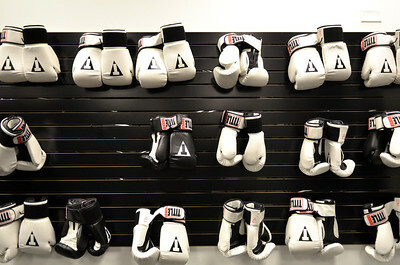 The one-hour high-intensity cardio workout classes incorporate boxing techniques. Aristud says she take these classes to get in shape and blow off steam.